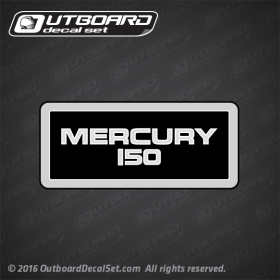 1994 MERCURY 150 HP: 7150453CD, 7150454CD, 7150454CT, 7150412CD, 7150422CD, 7150425CD, 7150472CD, 1150412PD, 1150422PD, 1150425PD, 1150453PD, 1150454PD, 1150454PT, 1150472PD MODELS. 1995 MERCURY 150 HP: 1150472RD, 1150454RD, 1150425RD, 1150422RD, 1150412RD, 7150472DD, 7150425DD, 7150422DD, 7150412DD, 7150419DD, 7150454DD MODELS. 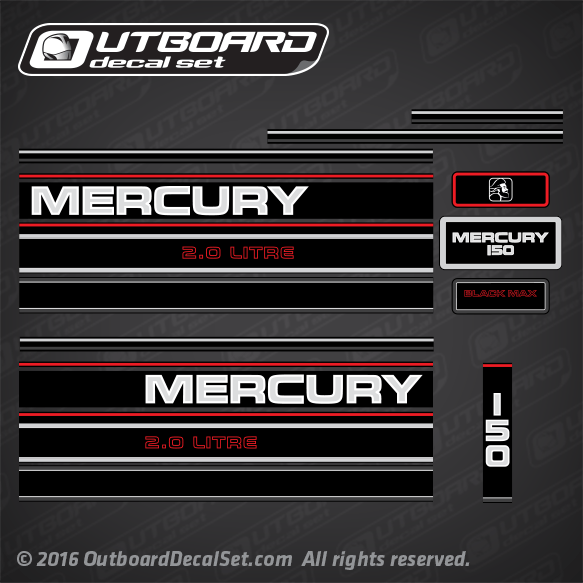 This same decal set is also available for 135hp, 150hp, 175hp, 200hp, XR6, 105 jet, and 140 jet upon request, please send us anemail for more details.